Remember ribbon candy? 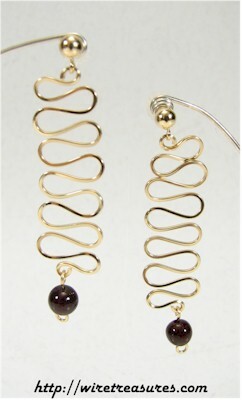 These earrings are 14K Gold Filled long ribbons with a 4mm bead of your choice at the bottom! E-mail me for available bead selections. These are a longer version of these earrings.Sweet from head to toe... just like you! These earrings are 1-3/8" high and 3/4" wide. You are visitor number 4,295 to this page.